Die-hard fans have been waiting for the Warcraft movie for nearly a decade, so the logo reveal is sure to have elves and orcs alike swooning worldwide. 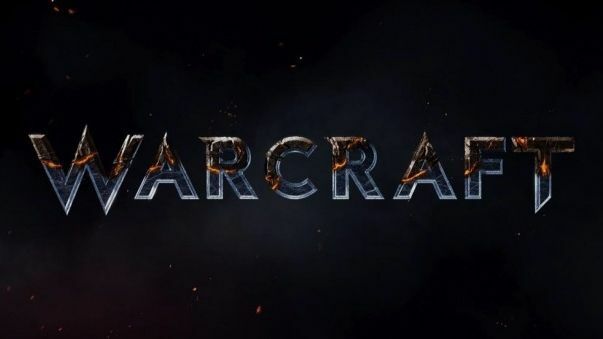 Legendary Pictures, the production company behind the upcoming Warcraft movie, has finally revealed the film's logo at ComicCon in San Diego. The movie will be simply called Warcraft, and sports a Starcraft-esque logo - a surprising breakaway from the gilded tag of the Warcraft games. The movie was first announced in 2006 and, despite slow progress initially, is now in post-production and scheduled for a March 2016 release. The fantasy epic is set to take place during Warcraft 1, when the orcs first invaded Azeroth, and will give equal screen time to both Alliance and Horde factions. Duncan Jones, director of Source Code and known WoW-player, is directing and writing the story with Chris Metzen, game designer at Blizzard, alongside screenplay writer Charles Leavitt, the mind behind Blood Diamond. Cast members so far include Ben Foster, Clancy Brown, Daniel Wu, Paula Patton, Tony Kebbell, Dominic Cooper, Travis Flimmel, and Robert Kazinsky - a self-confessed Warcraft-geek with 5 max-level characters. The film will be live action, and will use motion-capture to animate fantasy creatures like Orcs, with the Life of Pi's SFX don supervising. Excitingly, the Orc language is set to be developed by the same linguist who worked on the Lord of the Rings trilogy and Avatar.